Jeanne Marie Laskas had a dream of fleeing her otherwise happy urban life for fresh air and open space -- a dream she would discover was about something more than that. But she never expected her fantasy to come true -- until a summer afternoon's drive in the country. That's when she and her boyfriend, Alex -- owner of Marley the poodle -- stumble upon the place she thought existed only in her dreams. This pretty-as-a-picture-postcard farm with an Amish barn, a chestnut grove, and breathtaking vistas is real ... and for sale. And it's where she knows her future begins. But buying a postcard -- fifty acres of scenery -- and living on it are two entirely different matters. 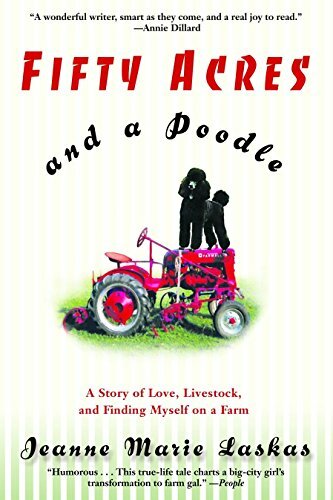 With wit and wisdom, Laskas chronicles the heartwarming and heartbreaking stories of the colorful two- and four-legged creatures she encounters on Sweetwater Farm. 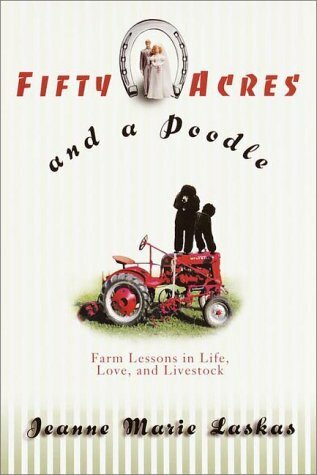 Against a backdrop of brambles, a satellite dish, and sheep, she tells a tender, touching, and hilarious tale about life, love, and the unexpected complications of having your dream come true. Jeanne Marie Laskas is a columnist for The Washington Post Magazine, where her "Significant Others" essays appear weekly. A contributing writer at Esquire, she also writes for numerous national magazines.